To have your handwriting or e.g. 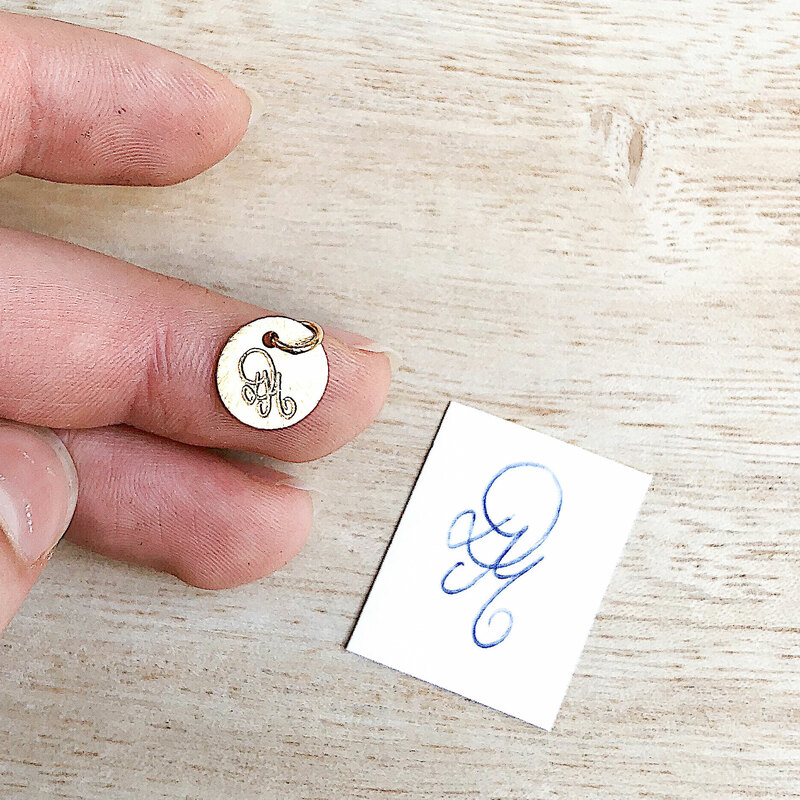 your husband's handwriting engraved, you can use your smartphone to take a photo of the desired engraving and upload it directly during the ordering process. It is important to have a neutral background and a legible font that can be slightly larger than the final result (as you can see on the photo). Let your creativity run wild and create a drawing or an original design according to your taste. 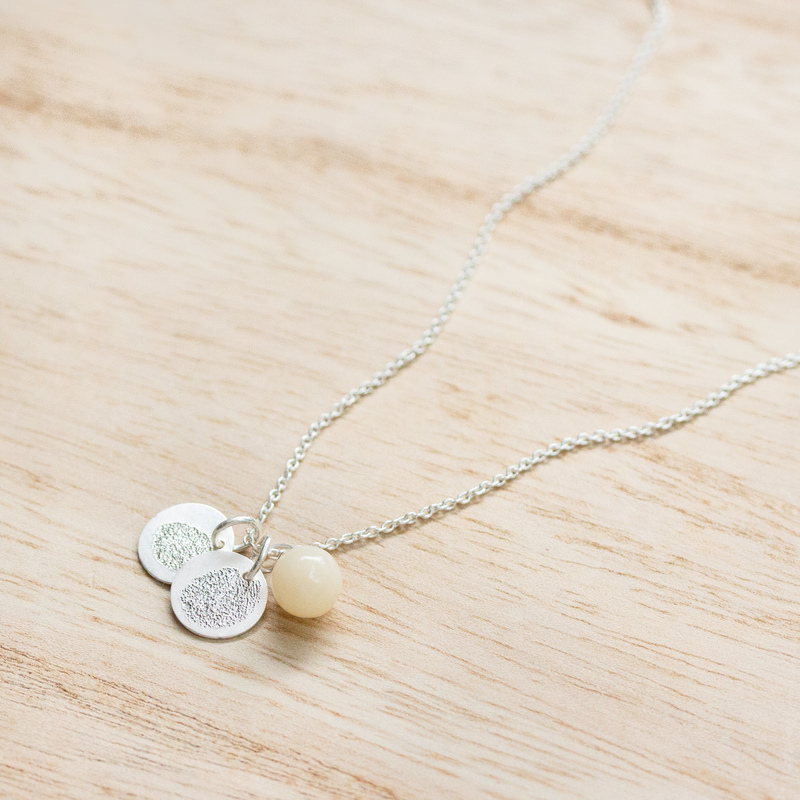 You can also photograph it with your mobile phone and upload it directly on our website or send it with your breast milk if you have chosen breast milk jewelry. Your child has painted a particularly great drawing which you would like to carry with you at all times? 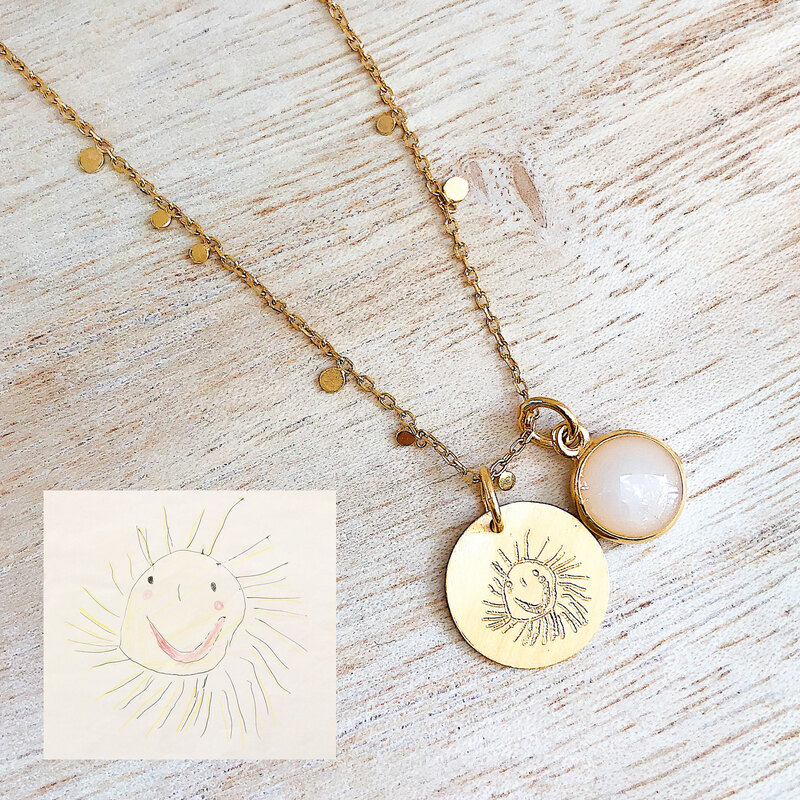 If possible, we will also engrave your children's drawing on your piece of jewelry. 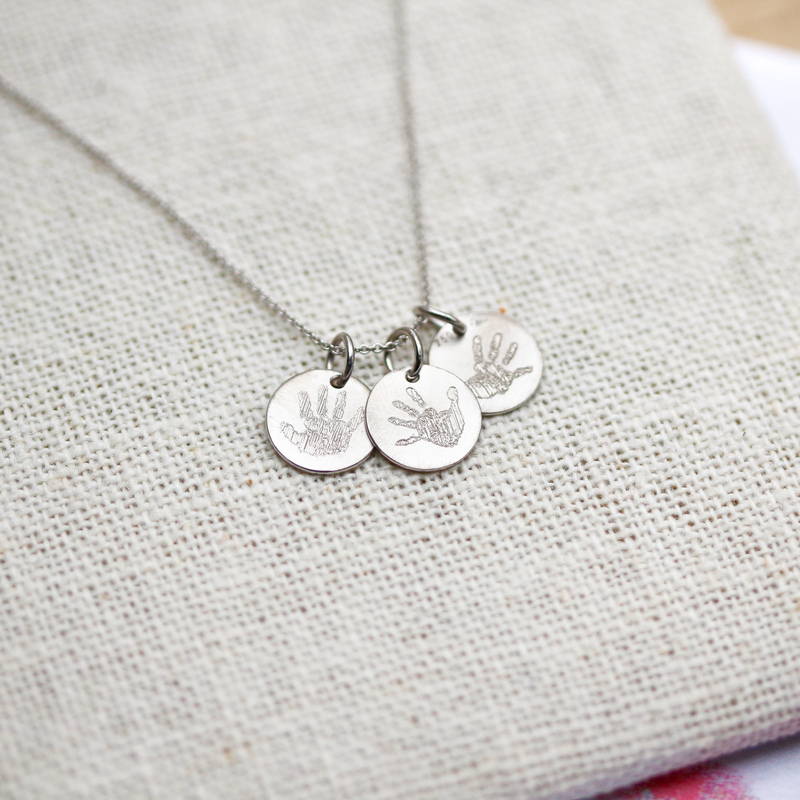 When ordering, upload a photo of the drawing in the best possible quality and we will engrave it according to your wish. The fine lines of fingerprints (papillary borders) are unique to every human being. If your child is older than approx. 24 months, clear lines are usually visible on the imprint. In the following video we show you how to take a fingerprint. Handprints or footprints are usually a bit more visible than fingerprints because of the clear contours. Often, midwives take footprints at birth in the hospital, which can be wonderfully used for engraving. 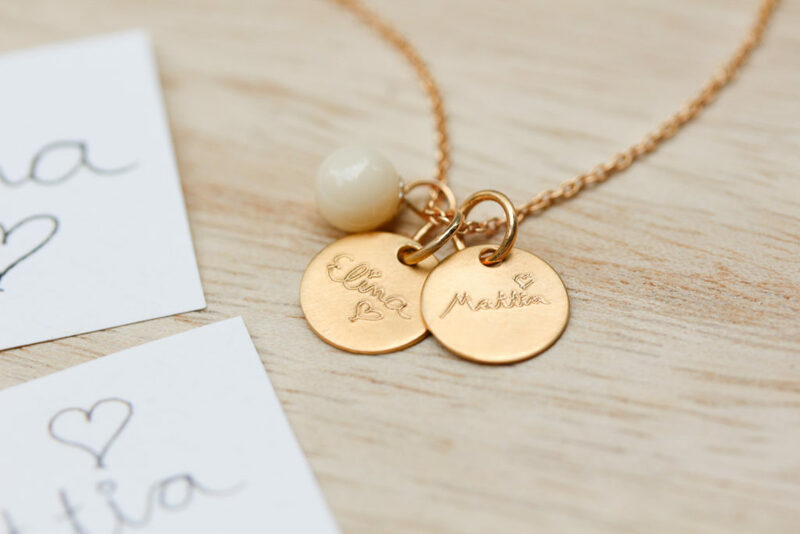 A beautiful font of your choice is also a great way to personalize your engraving. 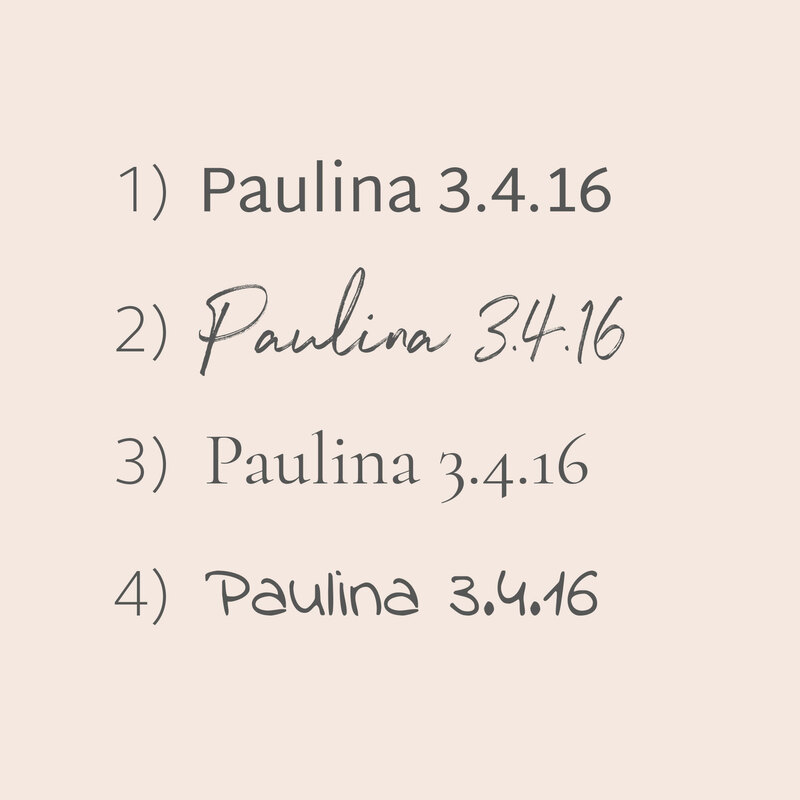 We have chosen four different fonts for you, from which you can choose your favorite one. In the order process you have the possibility to see a preview of your desired engraving in any font by typing in the name.